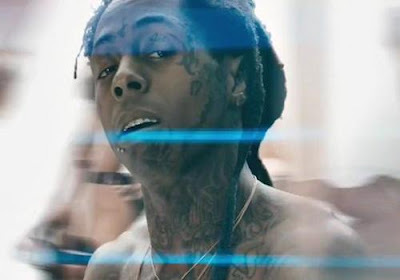 Lil Wayne is clearly out the loop when it comes to the new school of hip-hop. He recently held a book signing for his new memoir 'Gone 'Til November.' The New York Times got a chance to speak with Wayne for an exclusive interview. "I swear to God I didn't know you were saying people's names just now, so that should probably answer that question. I just do my own thing." He was then asked if Tha Carter V was finished. Wayne says it is done! Turnup! "It's done, sitting and wrapped as is. I just listened to it for the first time in months the other day. I had forgotten every single word on it, because I work every day. I popped it in, and I was like, it's still so much better than everything I've ever heard. Not what's going on right now — everything I've ever heard." I'd be a liar to say it didn't. People always say, 'How could not expect it?' But when I saw people giving a damn about what I'm going through, that made me think and obviously uplifted me. Sometimes what you're going through takes you far away from what the reality is. It takes someone to remind you: Look this way and remember what's over here. I never have bad days; I have bad moments." Im actually interested in reading Wayne's more. Im sure theres so much in there that we don't even know!